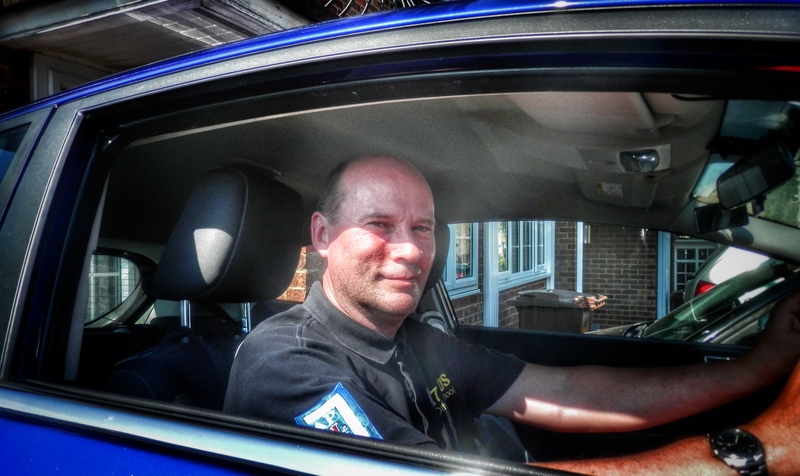 Nick Salzen walked away from a job in the banking sector and trained to become a driving instructor instead – and has since gone on to establish a successful driving school based in Kent. Former banking professional Nick Salzen decided that he’d had enough of managing money and would rather help learner drivers by making them safer, better motorists. Nick has now been running his business, 17 Plus Driving School, for over 12 years and here he reveals the secrets to his ongoing success. Tell me about your background and why you decided to become an ADI. I left school at 18 and worked in the banking sector over the next 25 years in various banks and investment houses in London. After being made redundant four times, I decided I was sick of it all, plus the stress of working in London and the commute were becoming unbearable. The reason I moved into instructing was because I had an interest in cars from a very early age. I used to sit in the front seat of my dad’s car, watching him drive, learning what he did and how he did it. I learned all about road awareness and how to deal with any given situation. So I took that and combined it with my love of teaching – when I was in banking, I discovered I was happiest when I was teaching other staff. So combining the two – driving and teaching – into one career made perfect sense to me. How did you get your start in instructing? On qualifying, I joined a local driving school and it went well; trouble was there wasn’t quite enough work despite the recommendations I was getting from students. Sadly, it was the same again when I joined a larger franchise, so I decided to bite the bullet, go independent in 2006 and haven’t looked back since. The great thing was that my students followed me because they were loyal; it’s all about you at the end of the day – you’re the asset, not the company – so if you’re doing a good job then you’re going to get recommendations, which is what happened to me. What advice would you give to an instructor just starting out? It’s very difficult to build up a business from scratch so it’s best to start with a franchise and drum up your client base from there. Once you’re getting enough recommendations on a regular basis, you should then consider going independent, say, after 18-24 months. What is the favourite and least favourite part of your job? I love watching how students develop their driving skills. It’s great when, after spending a long time with someone, all of a sudden things just click into place and they’re doing beautifully. Another highlight is of course when they pass – sharing that joy with them and knowing you have made a real difference to someone’s life is unbeatable. My least favourite part of the job is dealing with other drivers and their impatience, especially those who drive too close. They ride right up behind you and try to intimidate the learner into going faster – but they’re not going to go over the speed limit! It’s dangerous because such intimidating behaviour can freak students out and there’s a risk they could panic. – ADI Nick on impatient drivers who are sadly becoming increasingly common on Britain’s roads. What kind of instructor are you and what is your teaching style? I would say I am hardworking, dedicated to the job and offer top quality customer service. My teaching style is a mix of traditional instructing and client-centred learning; the latter approach is all about getting students more involved in the learning process by asking them for their thoughts and interpretations – as opposed to me just telling them what to do! For example, if they’ve done a parallel park and it’s not gone brilliantly, rather than telling them how they got it wrong, I ask them to rate the parking attempt on a scale of one to 10 – where ‘one’ is really rubbish and ’10’ is really brilliant. More often than not, they’ll say about ‘four’ so you might ask them: “Okay, so what would make it a six?”, and then you get them to tell you. So it might that they could have looked around a bit more. Then you ask them how they could have got a score of eight, and so on. It means you’re getting them to self-reflect more and dig that bit deeper. And more often than not, they come back with the right answers without you actually having to tell them what they’re doing wrong – because most of them are aware of what they’ve done wrong when they stop and actually think about it! What bad habits should learners make sure they don’t bring to a driving lesson? Don’t turn up convinced you’re ready to take the test. Please let me be the judge of that! It’s my job after all! When students are insistent or overconfident, I usually take them on a challenging route involving steep hills and tight roads. They usually make a hash of it so at the end, when I ask if they still think they are test ready, they realise for themselves that they’re not. Finally, if there was one thing you could change about the industry, what would it be? I would change the new test! They dropped the ‘turning in the road’ and replaced with ‘pulling up on the right hand side of the road’. I can’t see the point because it’s not something that people would normally do. Learning how to turn in the road is a far more useful skill and it should be reinstated. Put it this way, I am still teaching the manoeuvre – and always will.